This catalog is the most complete English-language overview of the history of Russian glassmaking. 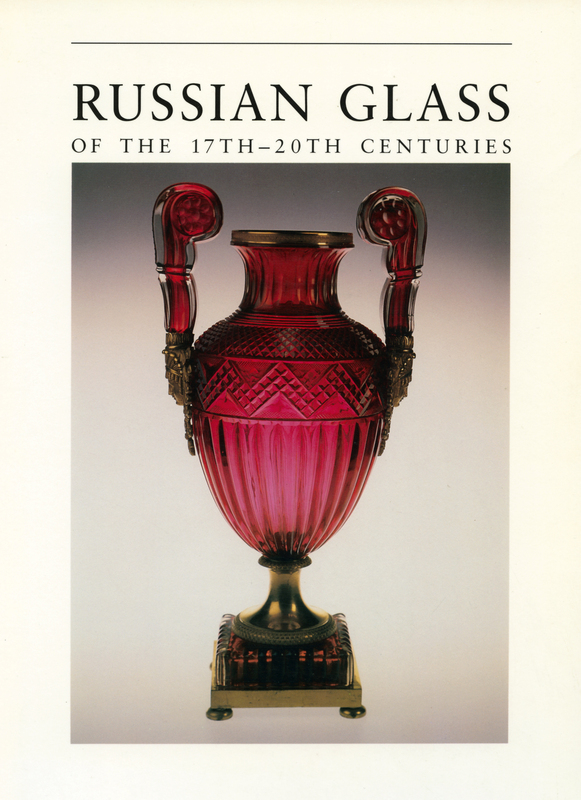 The book traces the development of the Russian glass industry from the time of Peter the Great to the present day. The exhibition for which this catalog was prepared was organized under the auspices of the Ministry of Culture in Moscow. Many of the objects on display were lent by about eight Russian museums. The exhibition was the first comprehensive exhibition of Russian glass ever shown in the West.